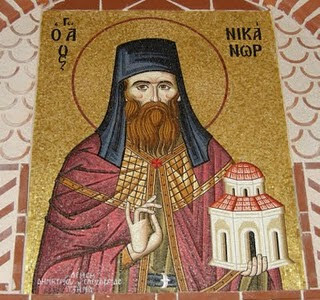 Saint Nikanor was born in 1491 in Thessaloniki of wealthy parents, John and Maria, who had great difficulty having children. Their faith however, displayed by their prayers, fasting and good deeds, helped them after many years to bear a son named Nicholas (the baptismal name of the Saint). 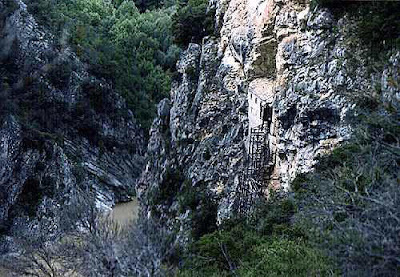 His parents, who lived in the area of Agios Menas, from the beginning tried to raise him according to the teachings of the Gospel by handing him over to a pious teacher for his education. From a young age, Nicholas wanted to devote his entire life to the Lord, and he spent his time in prayer, fasting, vigils and study. When Nicholas was 20 years old, his father died, and after a short time, so did his mother. When his parents died, Nicholas found himself the inheritor of a great inheritance. He distributed all his wealth to the needy - the orphans and the poor - and became a monk taking on the name of Nikanor. 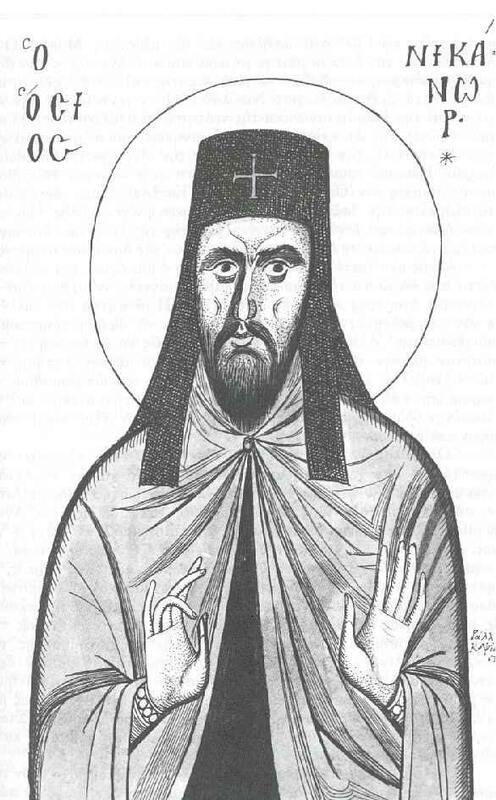 His fame in the region became great for his charismatic gifts, and news of this reached the Metropolitan of Thessaloniki. The Metropolitan had Nikanor ordained a deacon then a priest to serve by his side. Scarcely 27 years old at the time, Fr. 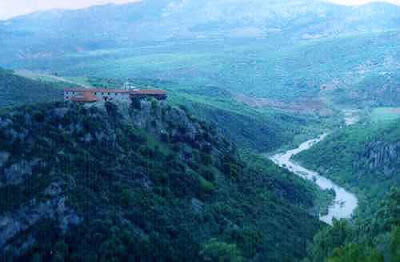 Nikanor embarked for his destination together with the Venerable Dionysios of Olympus. 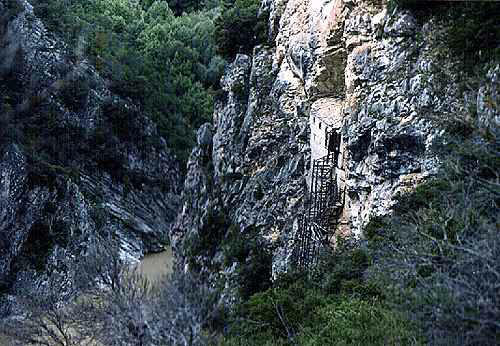 During the journey they separated, and Nikanor alone reached Mount Kallistratos (known as Vermion Mountain, or Grevena), where with much effort he built his ascetical dwelling in the Monastery that was there, and which survives to this day, in the treacherous canyon rocks, on the banks of the Aliakmona River. Besides all of this, he would routinely descend to strengthen the faithful of the surrounding towns and villages, to remain steadfast in their faith, even to the point of sacrificing their lives. 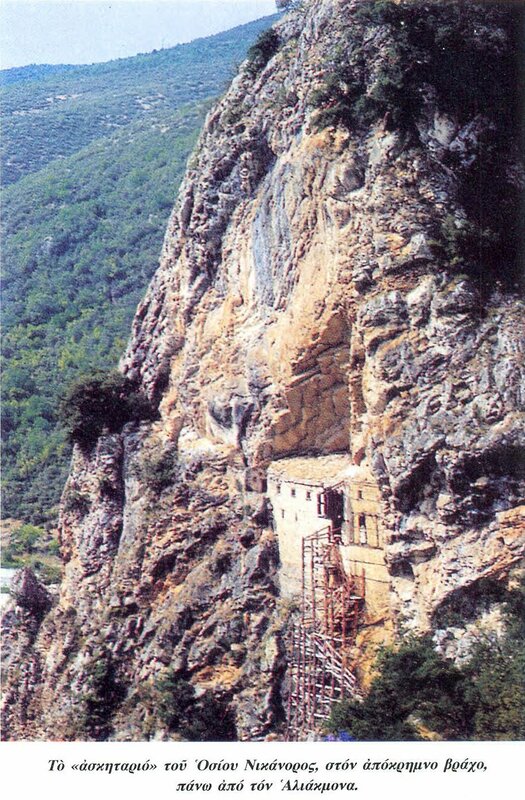 One night when he was praying, he again heard a heavenly voice, which called him to go to the summit of the mountain to find the icon of the Savior, which was hidden during the time of the iconoclasts, and to build in that place a monastery. In fact, the next day, that which was said by the voice was verified, and Nikanor at that place built a church and monastery dedicated to the Transfiguration of the Lord, known today as Zavorda Monastery. St. Nikanor fell asleep in the Lord on August 7th 1549, at the age of 58. 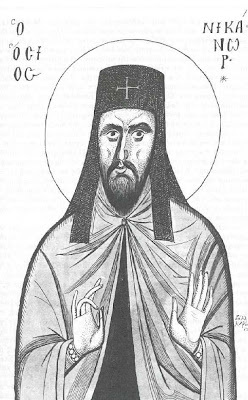 His sacred relic was buried in the Chapel of the Honorable Forerunner in Zavorda Monastery. 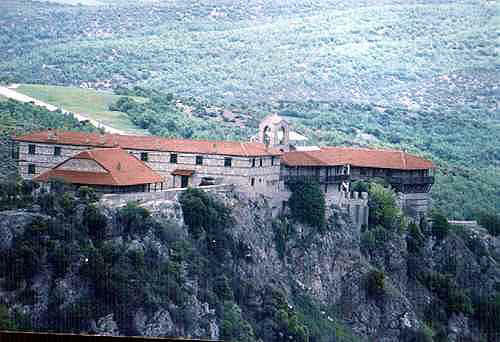 The contribution of Zavorda Monastery was invaluable during the struggle for the independence of Greece in the early 19th century, both because of its strategic location, and also its economic support. 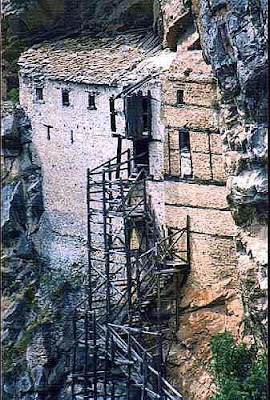 The Monastery of Zavorda was known for its hospitality, and many would come from Grevena, Siatista, Kozani, Serbia, Deskate and other cities in the region of Western Macedonia. This tradition was sacred since the age when the Venerable Nikanor lived. Throughout all his years of service, those who would visit the Monastery would always find a plate of food and a glass of wine, from the large stores that existed there. The contribution of the Venerable One was invaluable, both in life and after his repose, as faith in him and in the Church has shone to be a great source of miracles up to today, especially regarding healings of plagues and diseases. The Saint is a protector of shepherds and animals. 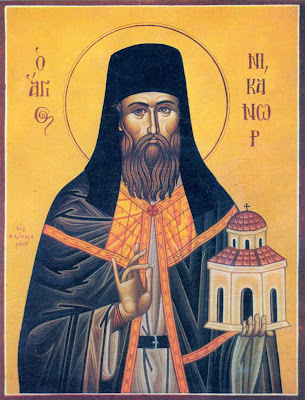 As an Angel in the flesh you lived on earth, and received the crown of victory in the heavens from God, O Venerable One, therefore receiving the grace of miracles, you ever grant deliverance, O God-bearing Nikanor, to those who hasten to your divine intercessions in faith. For more on St. Nikanor and his Monastery, see here. For more photos of the Monastery, see here.